Why the Uninspired 'Flatliners' Remake Will Likely Be D.O.A. Flatliners is different. The film industry is not exactly a non-profit organization, and none of the above reboots and sequels were made for charity. Everything is a cash grab. But the fact that smart executives circled back to a throwaway Joel Schumacher-directed thriller from the summer of 1990 makes me want to bang my head against the drywall in my apartment. Noooooo. Making a major motion picture should not be as easy as recruiting a congenial, low-budget cast (in this case, Ellen Page, Diego Luna and Nina Dobrev), lightly tracing over a dusty script, adding a few extra special effects and throwing the finished product into thousands of theaters with the hopes that no poor soul under the age of 25 realizes that they’ve just been had. The original Line-up: Platt, Bacon, Sutherland, Roberts and Baldwin. It’s not like the original Flatliners was a masterpiece. Call it a flawed-but-fun movie best known for something that has zero to do with what transpires onscreen. (More on that in five seconds.) Unlike three other films released during that same season — Pretty Woman, Ghost and Die Hard 2 — it’s not in heavy rotation on cable. Original stars Julia Roberts, Kiefer Sutherland, Oliver Platt, William Baldwin and Kevin Bacon don’t get asked about it in interviews. Of course, the film’s ephemeral qualities could work to the newbie’s advantage: Finagle with a beloved classic and the result could be the well-intentioned and totally doomed Ghostbusters. Nobody is going to complain about director Niels Arden Oplev’s 2017 interpretation of the great beyond. Including cold feet. On June 14, 1991 — just days before the two were set to be wed on a 20th Century Fox Soundstage — Roberts, then 23, became a real-life runaway bride. And not only did she leave 24-year-old Sutherland for fears that he was cheating on her, she promptly started shacking up with his best friend and Lost Boys co-star Jason Patric. Imagine an engaged Jennifer Garner leaving Ben Affleck for Matt Damon circa 2005. Exactly. The fallout was a breathless whirl. We didn’t have TMZ or social media or Us Weekly or iPhones at the time. There were just a few blurry photos of Roberts and Patric. 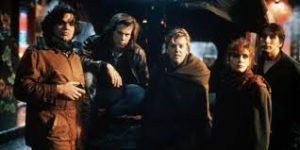 And, of course, Flatliners. The film, which earned a respectable $61 million at the box office thanks to Roberts’ name in the credits, had instantly become a cultural artifact. Page and Dobrev seem like lovely people. Both are fine actresses. Neither can carry a movie even remotely like the woman from Smyrna, Georgia. With no star power and even less heat, the Flatliners 2.0 could be DOA before October rolls in. There’s no progressive all-female hook like Ocean’s Eight; no Roberts cameo (though Sutherland appears as a different character); no self-awareness like 21 Jump Street; no tantalizing villain like IT’s Pennywise. Jeez, if you’re going to remake a forgettable ’90s film, at least try to put a distinct spin it. What remains is a straight-up remake for the sake of being a remake. And in 2017, when audiences are choosier than ever, that won’t do. Doctor, I don’t feel a pulse. . . .